McMaster University MSc Global Health student Serena Tejpar has been named this year’s YMCA Young Women of Excellence. She is among eight London women being recognized by the YMCA of Southwestern Ontario for their contribution to the community with the annual Women of Excellence awards. Tejpar has faced horrific challenges with strength, determination, and courage. In 2015, a near-fatal car crash left her in a coma with severe injuries. But she recovered and returned to university, graduating with an honours degree in medical sciences from Western University. Today, she is completing her MSc in Global Health at Mac and is committed to improving the Canadian health care system and addressing inequities in health care systems worldwide. Other award recipients include Dr. Bertha Garcia, physician and professor at Western University and an internationally-respected researcher into organ transplantation; CBC national morning news anchor Heather Hiscox; philanthropist and founder of Big Sisters London, Janet Stewart; Grand Theatre executive director and champion of the arts Deb Harvey; entrepreneur Shantal Feltham of Stiris Research; Kathy Longo, long-time community volunteer and role model; and Christine Stapleton, Western University’s director of sports and recreation. These eight women will be honored at a May 15 gala at the London Convention Centre. 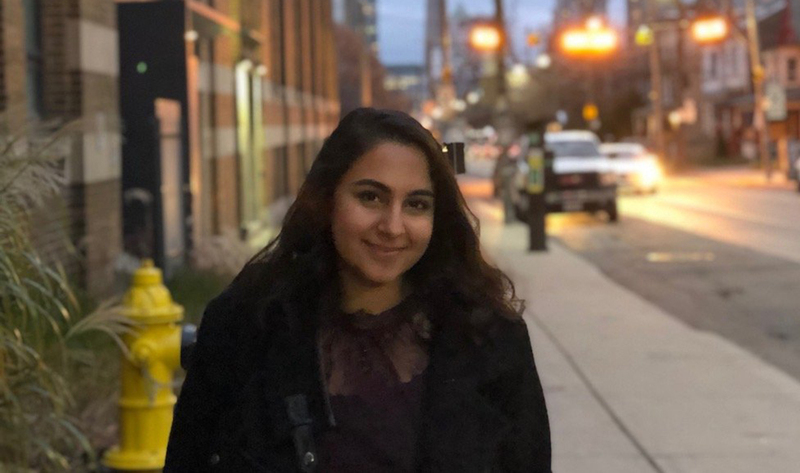 McMaster University MSc Global Health student Serena Tejpar has been named this year’s <a href="http://ymcawo.ca/womenofexcellence" target="_blank" rel="noopener">YMCA Young Women of Excellence</a>. She is among eight London women being recognized by the YMCA of Southwestern Ontario for their contribution to the community with the annual Women of Excellence awards. Tejpar has faced horrific challenges with strength, determination, and courage. In 2015, a near-fatal car crash left her in a coma with severe injuries. But she recovered and returned to university, graduating with an honours degree in medical sciences from Western University. Today, she is completing her MSc in Global Health at Mac and is committed to improving the Canadian health care system and addressing inequities in health care systems worldwide. "I am so humbled to be recognized alongside such extraordinary women who are leaders in their own fields and who are making a difference within the community," said Tejpar. "With so few women holding leadership positions in the community today, the YMCA is doing incredible work by shining a light on the differences that these women are making and inspiring many young women to follow suit." Other award recipients include Dr. Bertha Garcia, physician and professor at Western University and an internationally-respected researcher into organ transplantation; CBC national morning news anchor Heather Hiscox; philanthropist and founder of Big Sisters London, Janet Stewart; Grand Theatre executive director and champion of the arts Deb Harvey; entrepreneur Shantal Feltham of Stiris Research; Kathy Longo, long-time community volunteer and role model; and Christine Stapleton, Western University's director of sports and recreation. These eight women will be honored at a May 15 gala at the London Convention Centre.